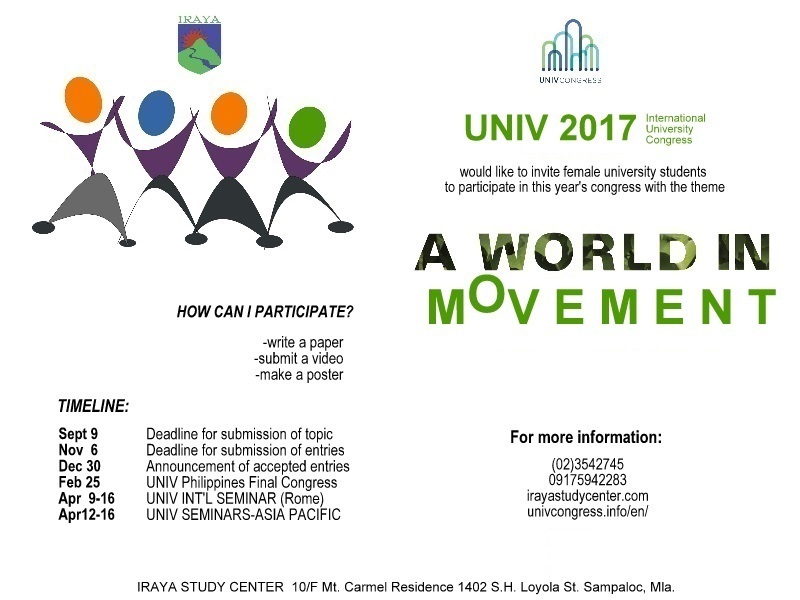 UNIV is an international gathering of university students, which since 1968 the Institute for University Cooperation (ICU) sponsors in Rome. Each year, several thousand students spend Holy Week in Rome, profiting from the cultural and historical riches that the Eternal City has to offer. Throughout the week, ICU provides students with various cultural encounters, conferences, roundtables, showrooms and concerts. all of these activities are occasions to delve more deeply into important matters relevant to the university, highlighting particularly the spirit of service towards those who are most in need.